Sarah is a beautiful and successful dance teacher. She is deaf, but this does not stop her from living life to its fullest. While visiting the Roberts family, David finds himself entranced with this very special lady and ends up defending her honor several times. He finds Sarah has gone through many trials as she teaches him the importance of not dwelling on the past and how to love life. Meanwhile, David learns about the legend of the Bear Lake Monster and wonders why the community believes in such a thing. He is determined to prove there is no Bear Lake Monster. Oh this series gets more and more exciting for me. And to know that parts of it are true is even more enticing. Dave is so confused and maybe Sarah too will they fall in love? Carolyn Kashner really brings the characters to life and even some of the cute parts are read so well. Loved Sarah's Special Gift hated for it to end. Cannot wait for the next book in the series. David's return to Bear Lake to visit after working on becoming a successful businessman. His plan to not settle down yet because he is not in a financial position to support his family all changes when he meets Sarah. Sarah is a dance teacher with a disability. She is deaf, but does not let it stop her from living her life. Through this wonderfully written story, these two meld there lives together. I love both of these characters. David's ambition is one that I know many can relate to. We all have that vision of someday having enough, and his realization that it's time now to live his life is a lesson worth learning. He also has a great personality, with humor and is quite the jokester! Sarah is beautiful through and through. I love her determination to live her life normally. She does not let the deafness stop her. I found her strong, compassionate and loved her with David. The Bear Lake monster legend is perfect too! It adds an element of history and fun to the town and makes you wonder if it's really there! A great addition! The continued narration by Carolyn Kashner keeps me going as she has become the voice of Bear Lake. She does a wonderful job and adds to the enjoyment. We originally met David in Edith and the Mysterious Stranger. David comes back to visit Bear Lake after having been away and trying to become a successful business man. He has certain reservations about women, but then he meets Sarah and everything changes. Sarah and David are charming characters. Sarah has overcome her hearing disability and is a successful dance instructor. 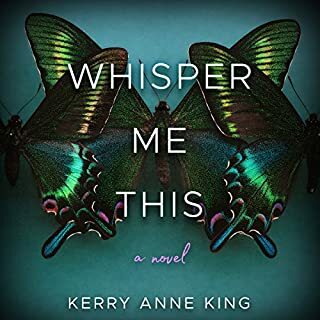 Sarah's hearing loss is really kind of a sad feature of the novel, in general; however, it offers an opportunity to show what one can overcome with enough courage, determination, and persistence. Life basically handed Sarah some lemons and she made lemonade. I have major respect for David because he has goals and intentions, he wants to be entirely able to support a wife/household before he even considers taking on courting and committing to any woman. In reality, this is not the most reasonable idea, because usually if we wait until we are ready for something we may never be ready for it, or the most appropriate time will have passed. However on paper, I feel that the idea has a lot of merit and adds to David's charm. The inclusion of the Bear Lake Monster legend was a great addition to the story. Most of the novel was anticipated, but in a good way. The romance was a sweet and lighthearted afternoon listen. I felt pretty upbeat by the end and was engaged throughout, because sometime its just nice to see the guy get the girl and vice versa. The author's inspiration for Sarah as a character is really heart warming (very aww). The narrator did an excellent job, as usual! I received a review copy at my request and have voluntarily left this honest and unbiased review. 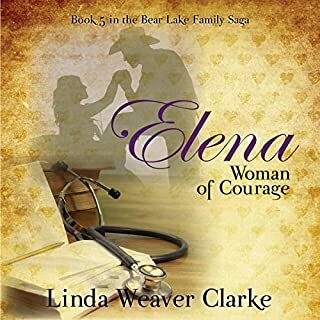 Sarah's Special Gift is an enchanting clean western romance set in the early 1900’s written by Linda Weaver Clarke. 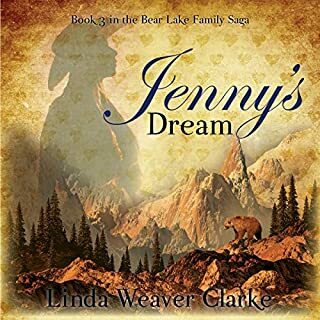 It is the fourth story in the Bear Lake, Idaho Saga that picks up several years after the third story (Jenny’s Dream) ends. This book centers around Sarah, a new dance teacher in the area as she opens up a dance studio. Despite being deaf, she is never in want of dance partners at the weekend socials. While visiting old family friends (the Roberts family from the first book in the series), Sarah befriends David. Their relationship starts off as friendship and the love between them develops slowly, which makes it that much more believable. This story really resonated with me, having a daughter who used to dance with a professional dance company as a student and who has partial hearing loss. Much like Sarah in the story, my daughter endured much difficulty communicating with others for 10 years, yet she never experienced difficultly expressing herself in dance. There is also a side story about the legend of the Bear Lake Monster, which dates back to Native American times. David is determined to prove there is no Bear Lake Monster, which backfires on him with subtle humor and a touch of mystic. As she did with the other audiobooks in this series, Carolyn Kashner did an admirable job narrating. She provided varying voices for all characters and inflected just the right amount of emotion in all the right places. Bravo! 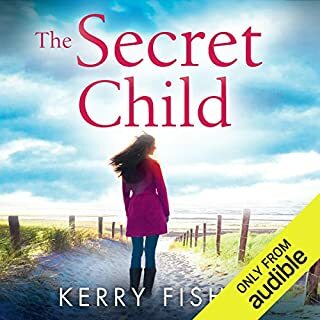 This book was a very enjoyable read [or should I say listen] about a woman with a disability [Sarah] and a guy who comes back to town after his mother dies [David]. David is very adamant about not wanting a wife until he gets his business in order. However, the more time he spends with Sarah those plans change.This book also had humor in it surrounding the legend of the Bear Lake Monster! I also want to acknowledge how good the author did with really being able to express some of the struggles/feelings people with disabilities face; as a person with a disability I could relate with Sarah a lot. The narrator did a good job with making each voice different, I appreciate when you can easily tell when different characters are speaking. 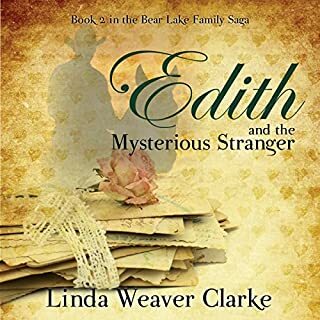 A sweet love story and a legend of Bear Lake monster all combine to make a great story. Sarah is a dance teacher who is deaf. How does she hears the music, you might want to wonder, she doesn't but feels the vibrations of the music coming from the floor. Yet her disability does not stop her from doing what she loves and that is to teach others to dance and dance herself. She meets David while visiting a family and he finds himself attracted to this gifted young lady and he finds himself defending her by the townfolks. 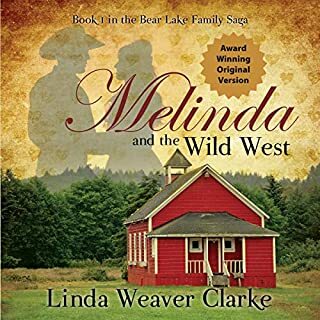 Linda Weaver Clarke once again weaves a great story that is suitable for listeners of all ages. I love how this author follow the lives of the people in her stories as she tells a different story each time. In Sarah's Special Gift, Sarah has moved to Bear Lake to setup a dance studio. Despite being deaf in a time where women were expected to stay home and be a wife and mother, Sarah shows tremendous strength in her determination to be an educated business-woman and overcoming her disability, making her a character young women can respect. I liked the references to Helen Keller which helps to educate younger readers, and also the way the author maintains strong morals and family values throughout her books. The legend of the Bear Lake monster and the way it affects the residents of Bear Lake is a cute side story. I actually looked it up; it's a real thing. You can find several websites that reference it. **I was offered a free book in exchange for an honest review, which in no way swayed my opinion of the author, narrator, or the story. Sarah's Special Gift is 4th book in the Bear Lake Family Saga Series but it stands alone. However reading the rest of the series adds more depth to the characters. Sarah has been deaf since a childhood illness but she worked hard to overcome obstacles. She is a dancer and became a dance teacher inspite of her disability. She is an important part of the community who accepts her for who she is. This was a very inspirational and romantic story that readers of all ages will enjoy! I have enjoyed the entire Bear Lake series and look forward to the story conyinuing . I was gifted a copy of the audiobook in exchange for an honest review. 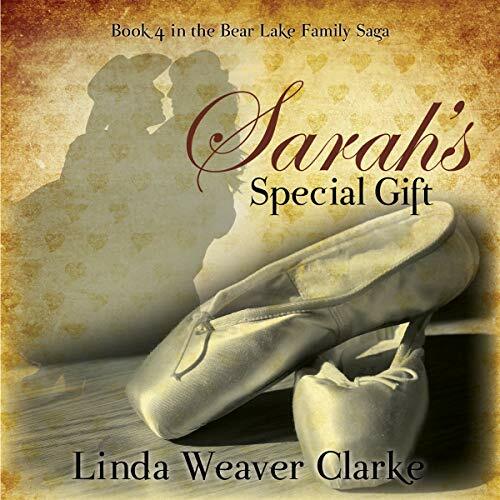 Sarah's Special Gift was book 4 in the Bear Lake Family Saga series. I really enjoyed it and it was a fun read for me since my daughter was also a dance teacher. The difference though is the fact that Sarah has been deaf since contracting an illness. As a result, it is truly a gift that she is such a wonderful dancer, not being able to even hear the music. As she meets David, their lives become entwined and at the beginning he has no idea that she can't hear as she speaks well. I love how the characters of the earlier books are carried through into this book and you can see how their lives developed through time. And I love reading and listening to books about places that I know and recognize. I look forward to the next book! This series is wonderful and very enjoyable for all ages of readers. I received an Audible version from the Author. All thoughts are my own.